Blend together all of your ingredients in a high speed blender until it is a consistent liquid. I feel like we should probably get together and make some popsicles. Or we can make them separately and then eat them together. We can call it a popluck. We can even #hashtag it. Whoa, what just happened there. But seriously, let’s have a playdate. Popdate. #Popdate. Soonsies. 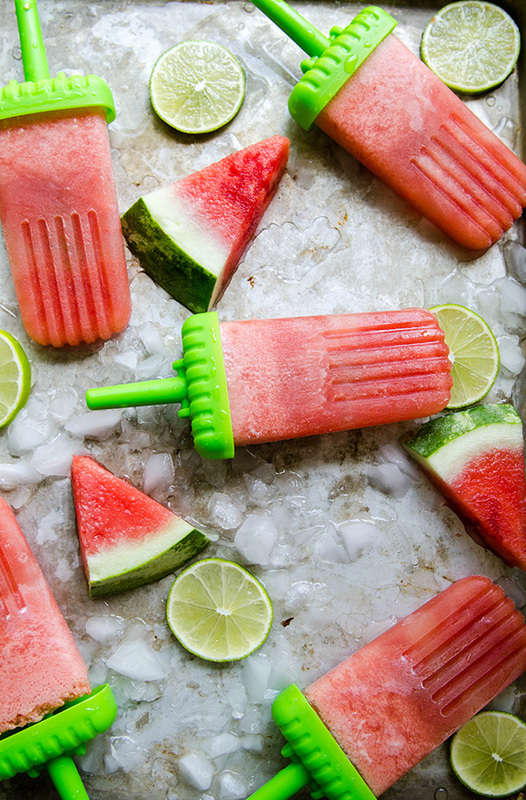 this looks mega refreshing. i can see myself lying by the pool sucking on (heehee!) these guys by the dozen. 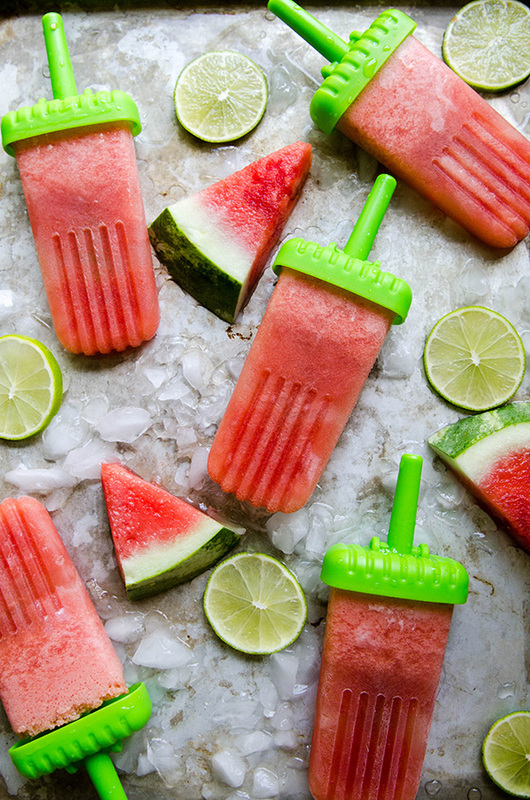 Oh man, these are the perfect summer treat. 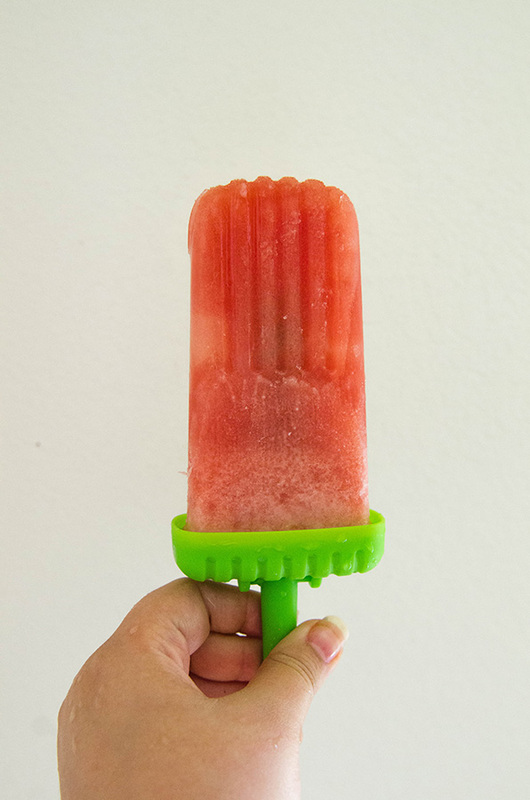 I have yet to make boozy pops and I just have no good reason why. Making these! 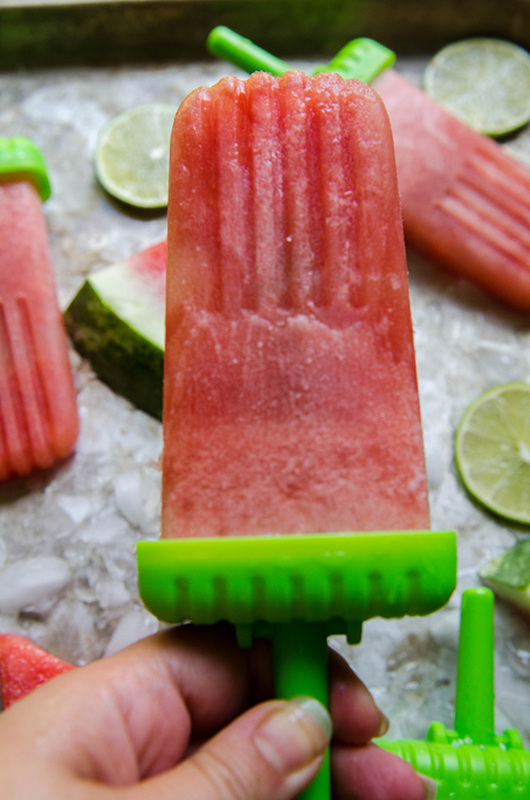 Watermelon and tequila are total BFF’s. They basically have those broken heart necklaces from Claire’s and totally always belong together. These sound amazing! I’m definitely going to try this out.